You don't have to long for the Mother Country to appreciate the brutal performance of this low-volume import. Old Blighty is a land of automotive contrasts. On the downside, it’s the home of congestion tax, a chequered manufacturing history and Prince of Darkness electrics. On the upside, there are 18 race circuits per square mile, a used Series 1 Lotus Elise costs about £9 and our colonial masters love producing low volume, high performance supercars. 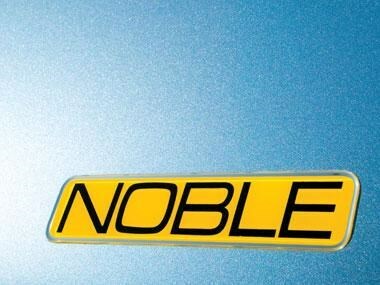 One example is Noble, a manufacturer of sportscars built with true enthusiasts in mind. If you’re not familiar with the brand, that’s because they’ve never officially been sold here. 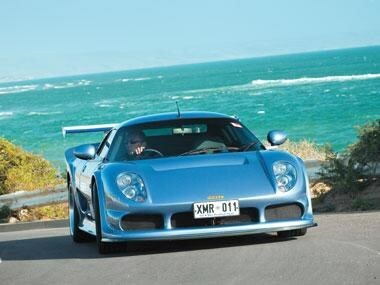 So your only road-going encounter is likely to be in Adelaide where Steve Wright’s M12 GTO 3R now resides. This is his second 3R, having owned one in the UK before being Noble-less for a period. That wouldn’t do, so prior to moving to Oz, Steve decided to get another M12, patiently running it for a year. He recently arrived on our shores with the car registered as a personal import. 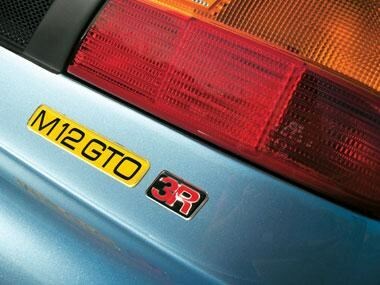 The M12 was the backbone of Noble’s production efforts, emerging from the Leicestershire factory in 2001 with a twin-turbo 2.5-litre Ford V6, before being replaced by the M12 GTO 3 with an uprated 3.0-litre, followed by the GTO 3R, as parked before me. 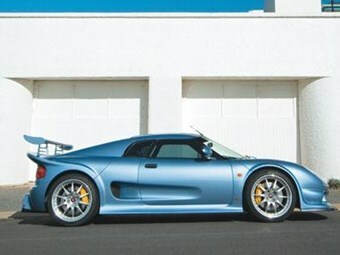 Finally, the M12 lineage ended with the M400, the more powerful track-biased example. 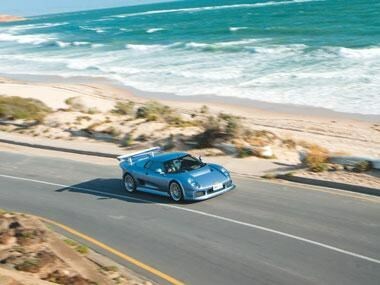 Back in 2004 Australians came close to being able to buy a new M12 GTO 3R, but unfortunately Noble gave the exclusive distribution rights to the short-lived MG group, meaning our chances departed with the ZT 180 et al. So, what did we miss? Should we be sulking? Yes we should. The M12 uses a steel spaceframe with bonded and riveted alloy sheeting and firewalls that could look at home in pitlane or a Group B service park. Manufactured in South Africa, the chassis and GRP composite bodywork was shipped to the Noble factory for assembly and mechanical fitout. Close inspection reveals quality construction and attention to detail, particularly panel gaps and fit and finish. The body curves cohesively, giving the impression this car was designed as a whole rather than an amalgamation of parts or the result of decades of upgrading, Lotus Esprit-style. The nose differs from the preceding M12 GTO 3 with fully-moulded headlights replacing recessed single units that were early Elise in appearance, resulting in a more aggressive look set off by the large carbonfibre splitter. 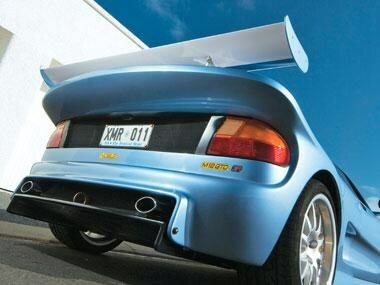 The rear is dominated by a carbonfibre wing perched above the swooping tail line, with a rear tunnel doing a commendable race car impersonation. Undo the flush screws securing the front and rear covers and you’ll reinforce the supercar appearance as both front and rear body sections tilt away from the cab. Up-front, the first thing you notice is – nothing. No spare wheel, no boot for luggage and generally nothing deemed non-essential to making the car stop, turn or function. Tucked amongst the frame is a forward-angled alloy radiator with twin thermo fans, brake and clutch reservoirs and not much else. Behind the wheelarch panels sits the rose-jointed double wishbone suspension and Bilstein adjustable coil-overs. If the front’s empty, the back’s busy. Stuffed behind the firewall is a modified version of Ford’s Duratec quadcam 3.0-litre V6, mounted transversely with the Getrag six-speed gearbox tucked on the passenger side with power fed via a Quaife limited-slip differential. In case you were concerned the Duratec was too Mondeo, twin Garret turbos take power and torque up to 263kW/475Nm. Combined with a kerb weight of less than 1100kg, it’s easy to believe the 0-100 time of 3.7secs and top speed of over 270km/h. There’s plumbing everywhere, resembling a miniature desalination plant, no doubt easy to follow for Steve who runs a pool maintenance business. 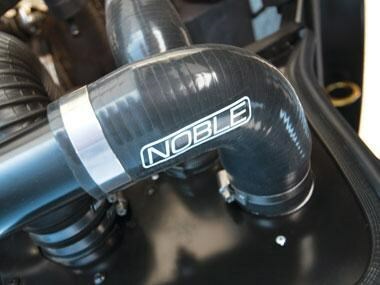 With the front-mount radiator the coolant travels a fair distance every lap, plus there’s a rear top-mount air-to-air intercooler beneath the spoiler, isolated in a sealed box that also houses twin air cleaners, so there’s plenty of tubing rearward too. Add a couple of turbos and twin exhausts, and it’s no wonder there’s a pipe or three. However, a second glance reveals a logical, simple layout where provided the flat floor panel and a couple of side panels are removed, access isn’t quite as nightmarish as first thought; except the battery. Floor-mounted between the engine and firewall, you’ll disappoint the battery police by never checking the water levels. The rear also scores double wishbone suspension with adjustable Bilstein coil-overs, and while the drilled AP Racing brake rotors are the same diameter front and rear at 330mm, the rears are slightly narrower. AP Racing four-spot callipers all-round take care of clamping. Wheels are unique to the GTO 3R, the 10-spoke alloys a Noble design and measuring 18x8.5 (front) and 18x10 (rear), with Bridgestone Potenzas trusted to keep the thing on the road. 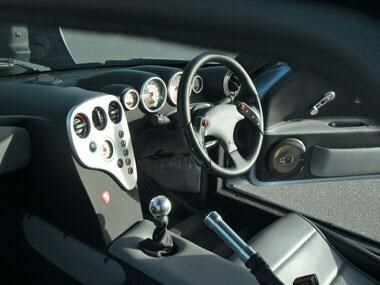 Steve’s happy with the Noble’s habits and reliability, citing no concerns, particularly when compared with previous rides which included early Elise and Exige models and an early Esprit, which truly tested his patience. The 3R on the other hand has done 10,000 pain-free miles. "I think you’ve just got to spend 15mins looking over the car, and you can keep on top of it," he says. "The big things are okay, it’s just the small niggly things. We’ve all replaced our rear exhaust brackets." The one-piece leather race seats are heavily bolstered but comfortable, the leather-trimmed doors match, and the overall trim of the cabin works well, being a good balance of understatement with just enough flash. The internal rollcage is trimmed in Alcantara and there’s a choice of inertia reel and harness belts depending whether you are on track or road. Also, the weakest link in the fit and finish department is the steering wheel and column, with the wheel looking a bit too boy racer and the steering column surround appearing an afterthought, disappearing to reveal exposed steel and wiring under the dash. However, you have to be lying on the road with the door open to notice, and it’d be easy to change the non-airbag wheel. These are minor gripes that fade once the start button is engaged and the V6 crackles into life. At fast idle, there’s an inviting rumble through the car that hints to occupants of something special. Idling around the ‘burbs, the 3R is highly tractable, with typical backstreet roundabouts easily negotiated in third at slow speed thanks to strong torque and the small turbos. Coupled with the comparatively roomy cabin, good visibility, power steering and the power-assisted but non-ABS brakes, there is no issue with suburban manoeuvrability, other than the very low and long front splitter as evidenced by the fact Steve is on his third example. Suburban commuting is important to establish credentials, for since Honda’s NSX, tolerance levels for supercars that fail to negotiate a trip through traffic have plummeted. That said, I’m sure you’re more interested in how it goes when clear of traffic. There’s little point in identifying which gear has been selected given the pull from down low is so strong it can easily cope with rolling acceleration in most gears bar sixth. It’s not completely lagless, but 80 percent of those 475Nm come in early, under 3000rpm, and peak torque arrives not long after so it’s an engine package that is highly useable and relevant in the real world of twisty undulating roads in addition to racetracks. And that’s not to say it’s just creamy torque. That would be underselling the explosive acceleration bursts under heavy throttle, where you’re compressed backwards and feedback suggests horsepower is higher than claimed. Put it down to a lack of lard. It’s an exhilarating combo: stunning torque delivery that will keep you on the boil all day and enough explosive high rpm urge for the odd angry burst. Meanwhile, the induction howl behind your head coupled with a rorty note that sounds astonishingly close to a barking flat-six Porsche turbo demands you drive everywhere with spirit. 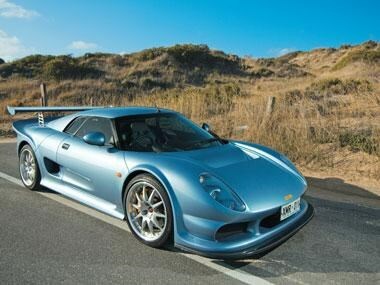 Dynamically, in the dry at least, the chassis suggests it could handle even more, and I suppose the M400 proves it can. Steering is direct, light, but not kart-quick. There’s an obvious advantage in being able to cover your clean sheet of design paper with a purpose-built chassis rather than trying to adapt a generic platform, so we shouldn’t be surprised by the dynamic prowess of the Noble. The best way to describe it is to confirm that it’s all you had hoped, both in terms of ability to change directions and through its behaviour under high load. Helped by the tricky Quaife diff, power can be applied with gusto in the dry, though I would be careful in the wet for fear of overpowering the Bridgestones. Finally, the suspension tune is one of the better examples to grace this earth, tight and controlled with no hint of roll, pitch or movement, but compliant, soaking up bumps and undulations with ease. It’s a truly entertaining car and confirms the UK expertly fills that niche of supercar madness, but with enough practicality and poise to appeal to a broad audience. When MG bombed here, we were denied; we missed out on Noble and its fantastic 3R.